Rated 5 out of 5 by Bren07 from Great product I like this product and I have every color but I really wish they would bring back Greed!!! I loved this one for night's out and the sparkle to it. I wear it everyday so I do like to mix it up a little. Rated 5 out of 5 by Fyrefly from Essential! No other primer I have ever used comes close. My eyeshadow is Locked Down and does not budge all day - even if I'm using cheap stuff! I lost my latest tube on a business trip and thought hey, I have other primers from beauty boxes, I'll give them a try! Nope - my eyeshadow was a creased muddy mess by lunch time with every one. Reordered and counted the days until it arrived. I don't know what it is with this stuff but it works and it is an absolute must have. I use original because I like my shadows to look true to color. Definitely try it! 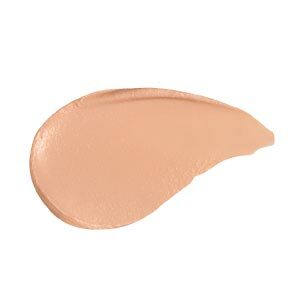 Rated 5 out of 5 by STC17 from Game Changer This primer keeps eye shadow on all day! Love it! One downer is the way the product is dispensed, it's a little awkward. Rated 5 out of 5 by GetItGirl from Caffeine Is Pretty Thank you Urban Decay for having this shade for WOC! I'm able to wear eyeshadow like everyone else. I couldn't figure out why my eyeshadow didn't look like everyone else and that there was a solution for it. I was naive, delusional...just plain didn't know any better. My eyelids are oily & wrinkely. 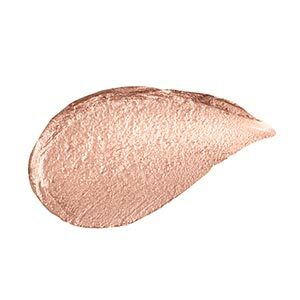 Easy to apply on the eyes and smooths everything. I do ask if there could be a Caffeine shade in the Anti-aging version. That would be great! Rated 5 out of 5 by geology from The only eyeshadow primer I use This is hands-down, the best eyeshadow primer out there and the only one I'll ever use. I get the original, and use it everyday before putting on my UD eyeshadow. It makes my eyeshadow last all day and night. It even lasted through 4 straight hours of sobbing after a break up. I'll always recommend this! 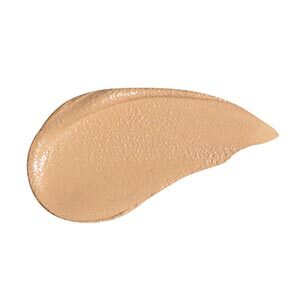 Rated 5 out of 5 by JMLE from My go to eye primer Keep coming back to this, I don't bother with any other eye primer! Use the original and anti age sometimes but love Sin as it does double duty as a primer and a shade on my brow bone which speeds up my morning routine. Rated 5 out of 5 by JEYy from great eyeprimer!!! The anti-aging eyeshadow primer has been my first UD purchase ever. d find this awesome little gem!!!!!!!!!!! I have had oily eyelids my whole life (20+ years using makeup). OMG, this stuff is amazing. I am definitely going to be more open to buying UD products going forward. ITS AMAZIIIIING!!!! Rated 1 out of 5 by jmmsjd from Literally the worst product I've ever used. I've been wearing eyeshadow for ten years. I have tried just about everything you can think of- primer, no primer, concealer, setting spray . . . literally everything. I have, throughout these ten years, been required to wear makeup for ridiculous periods of time with little to no fading or creasing. Last year, I did an eye look for a cheer competition with the Petite Heat pallet and no primer at 7:30 am, and when I got home after 3:00 am the eyeshadow looked almost identical to what it looked like when I first put it on. This week I picked up a new job, and as I must look presentable I grabbed this primer in Eden as I've heard so many good things about it. I thought I could ensure I looked great every day by using this. I came home today after a 9 hour work day and my heart dropped when I looked in the mirror. My eyeshadow is GONE and this is an issue I have literally never had outside of using this product. It moved, creased, and completely came off, one of my clients gasped when they saw me and told me how unusual it was for me to have a bad makeup day. This is the exact same eyeshadow look I wore to a competition that stayed for 18 hours without primer before. I would not recommend this and can't believe I spent $25 to have the worst makeup day of my life.